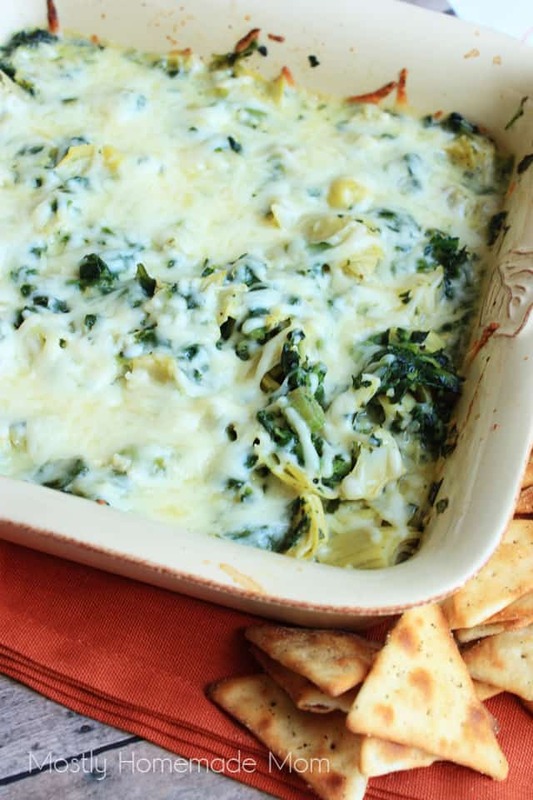 This delish dip is filled with marinated artichokes, spinach, garlic, (vegan) cheese, and almond milk – no guilt with this meat-free recipe! Whenever my family gets together for any type of sports event, we pretty much HAVE to have a few dips going on. I mean, one dip just doesn’t cut it with us smack-obsessed people! It’s so easy though to get carried away with the heavy snacks and dip a and before I realize, I’ve consumed WAY too much! I also try my best to make as many meat-free options as I can. It keeps the cost of the recipe WAY down, I mean have you seen the price of beef lately?! Plus, it’s way better for my family without the meat as well. I simply love making skinny, no guilt versions of our favorite game day munchies. 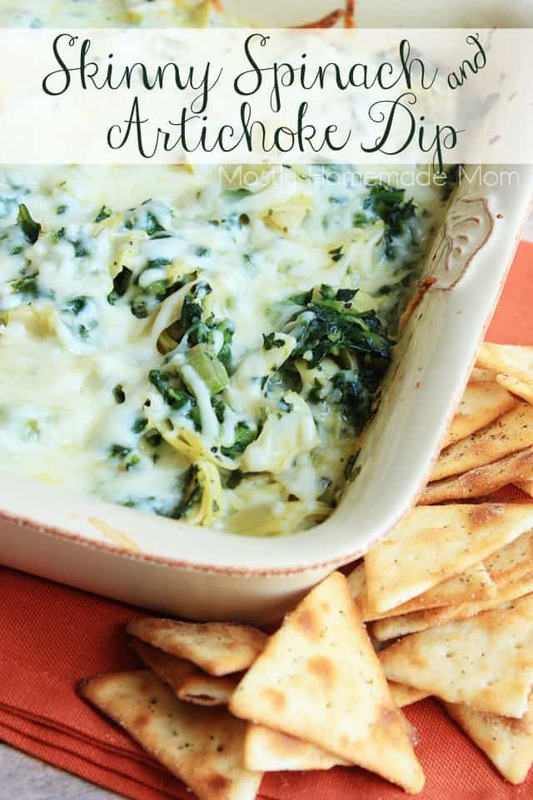 Classic spinach and Artichoke dip is definitely in that category! 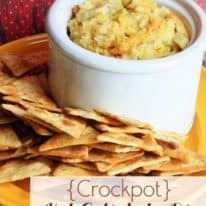 No heavy butter or cream, this dip uses my favorite Silk Almondmilk to give it an unbelievable creamy flavor. 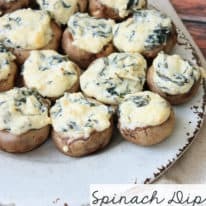 Use regular mozzarella or your favorite non dairy version to keep it completely vegan- your family will never guess this is actually a better-for-them dip! 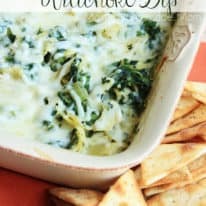 Skinny Spinach and Artichoke Dip recipe filled with marinated artichokes, spinach, garlic, (vegan) cheese, and almond milk - no guilt with this meat-free recipe! Spray a square baking dish with nonstick spray. Sprinkle 1 cup of the cheese over the bottom of the dish. 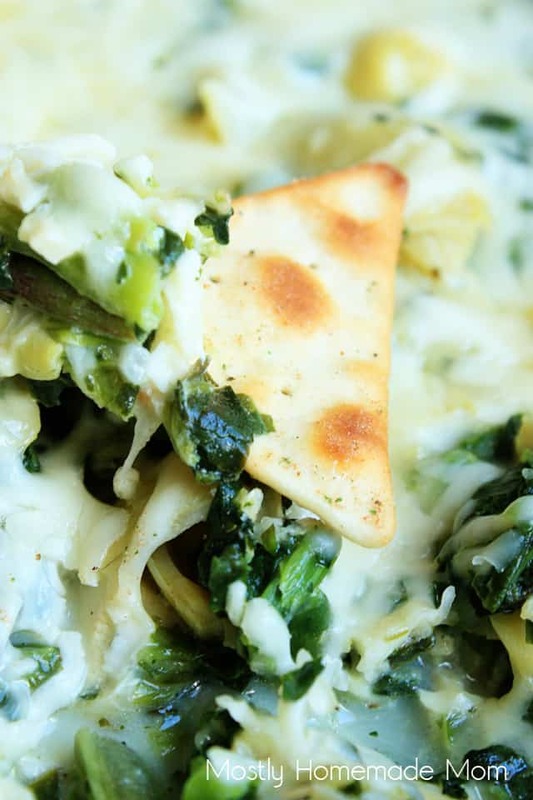 Drain the artichoke hearts well, chop small, and add to dish. Stir in minced onion, spinach, minced garlic, and almond milk until well combined. Bake at 350 degrees for 20 minutes. Sprinkle remaining 1 cup mozzarella over top of dip and bake an additional 5 minutes or until heated through and cheese is melted. Serve warm with pita chips. OH MAN this dip is out of this world, good! I’m actually excited for football season to be in full swing so I can make it again, yum! What’s your favorite way to “sideline meat” this season? Silk has some great recipe ideas and a great giveaway going on, be sure to click here for more yummy info and to enter! 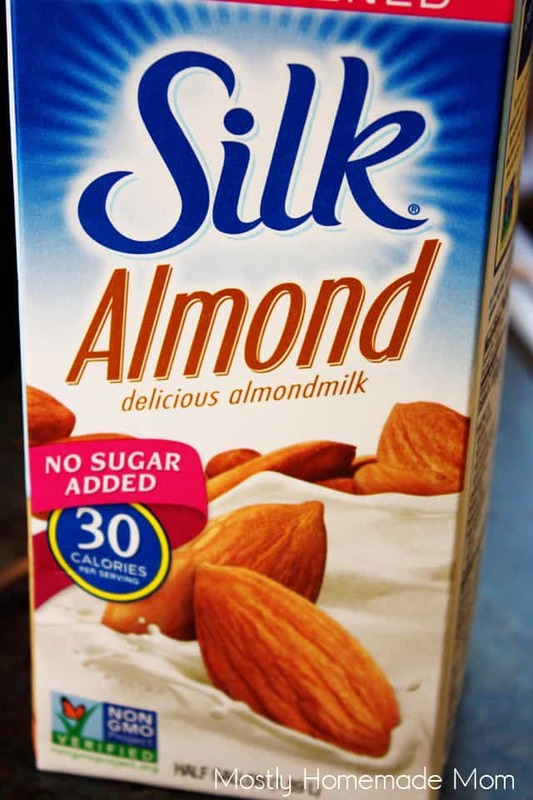 Want to know what stores closest to you carry Silk dairy-free products? Click here for a list!